Tuesday 26th June friendly away v Rockliffe Park. The pitch is in the grounds of the Rockliffe Hall hotel, turn left off the main drive onto the cricket ground about 150 yards after the main entrance. Please be there 6.00 pm, match will start by 6.30 pm. 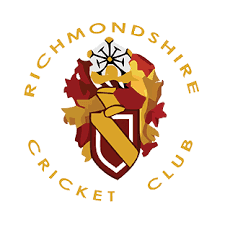 Friday 29th June v Northallerton, this fixture was originally due to be away, but will be played at Richmond School, please be there by 6.00. Approximately 20 players will have played in an under 9 game through the season, not all in the age group will get the opportunity to play in a game. Games at under 9 level require all players to bat, bowl, keep wicket and field. The limiting factor is normally the ability to bowl overarm on an 18 yard pitch without bowling too many wides. I select a team that I think will be competitive against the given opposition from what I have seen at training.